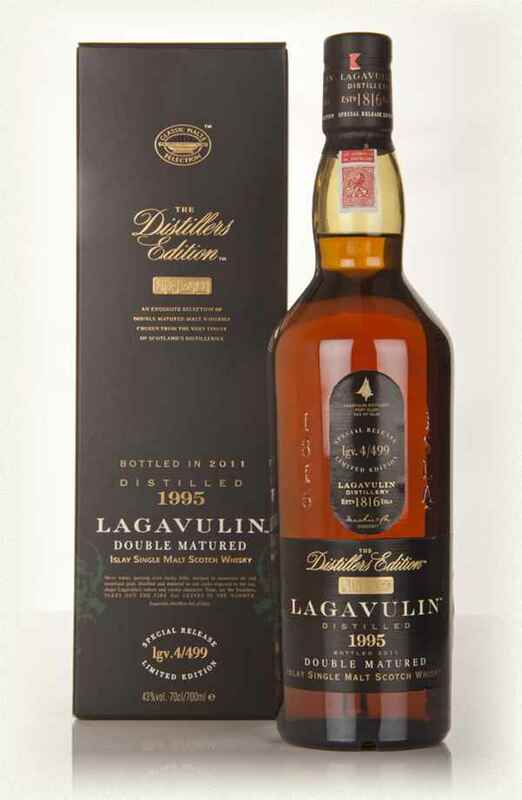 The 1995 vintage of Lagavulin’s delicious Distillers Edition. 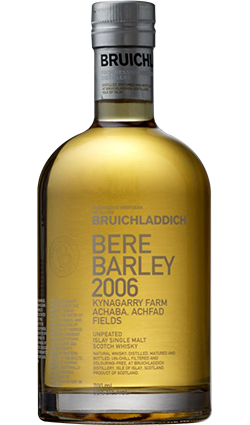 This stuff is finished in sweet Pedro Ximenez dessert sherry casks, and it’s bloomin’ marvelous. Very smoky and very thick, sweet and sticky. Beautiful with chocolates after dinner! Nose: Smoky and woody. Hints of forest floor, wood sheds, cut hay, sultanas, rum and raisin icecream and porcini mushrooms. 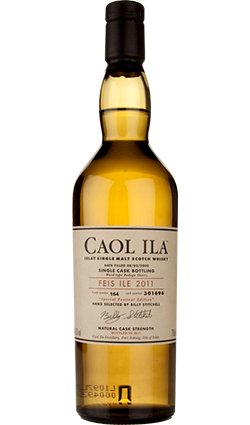 Palate: Creamy and very Christmassy! Lots of peat smoke, nut oil, hazelnut, cocoa, sultanas, crispy bacon, a little kipper, sticking plasters and molasses. Finish: Old rum, nutmeg, rhubarb and dark chocolate fudge. 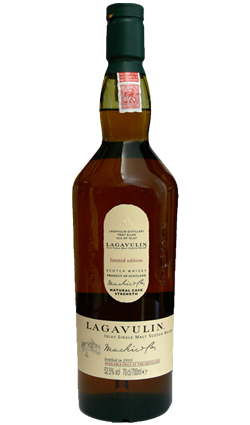 The Lagavulin DE95 is without a doubt my favourite Lagavulin whisky. 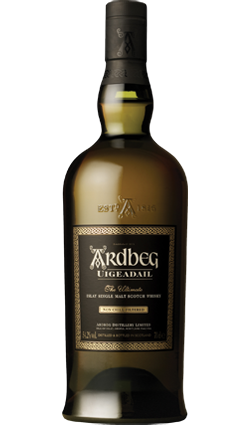 The mellow complexity of this dark and smoky treat, which modulates into crisp notes of citrus and white grape, leaves a delightful finish of toasted almond and chocolate on the palate, like an old friend who lingers a moment after the party has left for a deep and meaningful goodbye.